A local graphic designer will see his debut comic unveiled on ComiXology, an amazon company who feature and sell comics online. 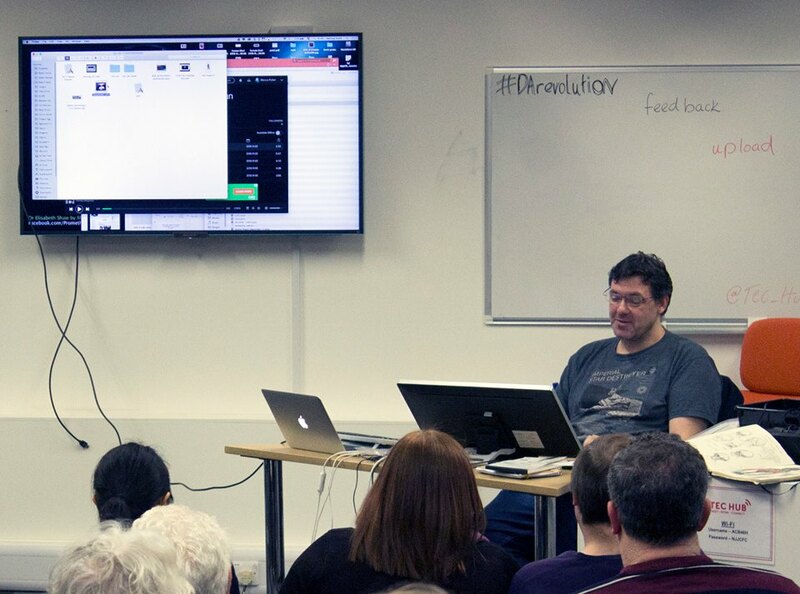 Marcus Pullen, founder of the multimedia production company Blue Donut Studios based in Eastleigh’s Tec Hub in Eastleigh has said is delighted to have been selected to see his comic The Last Dead End sold on the critically-acclaimed site. The Last Dead End was originally created as an animation for a short horror film competition organised by Shortcuts to Hell which led to a screening at Frightfest and on the Horror Channel to rave reviews. Marcus then went back to the original material to develop a comic, which was submitted to the digital site ComiXology. 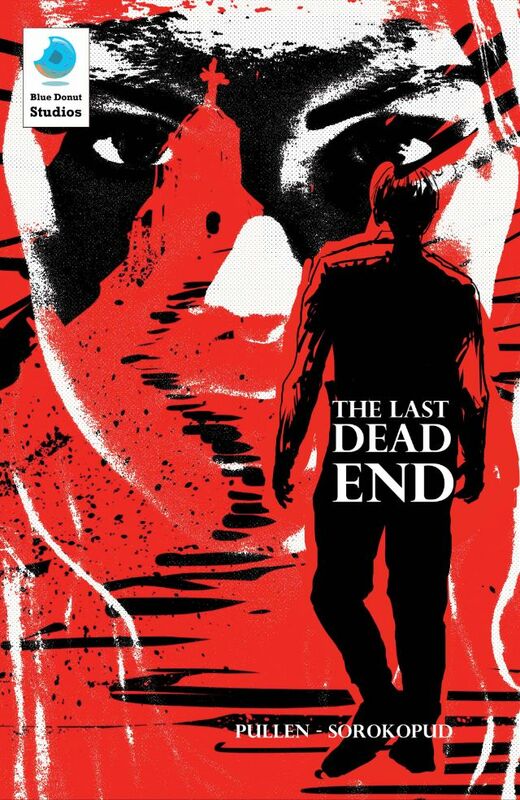 The Last Dead End is now available for purchase in a variety of digital formats on the critically-acclaimed site. The original animation of The Last Dead End has no narration or words, just simply in black and white with splashes of red for horror effect and sound effects provided by Time+Space. The comic version was created with an added narrative and a ‘making of’ section- a feature not previously been seen in comics before. When a comic is accepted by ComiXology it is converted to work on their platform that runs on Android, iOS, Kindle, Windows 10 and general internet access. They can receive more than 200 million downloads, including from the US market – a great achievement for the creators. Blue Donut Studios say they have more exciting projects in the pipeline including a comic about an Agincourt hero, Sir Bevis, and also a joint project with Eastleigh Borough Council’s Culture team and SplashMaps. Blue Donut are also working with a contemporary dance group to take a comic story into the theatre and back again. The Last Dead End is available for purchase now at www.comixology.com. More information about Blue Donut Studio is available on their website: www.bluedonutstudios.com. Is this a press release?